The festive season’s approaching and this calls for gatherings and catch-up sessions with family and friends. Whether over a cup of aromatic coffee at a café or savouring mouthwatering dishes at restaurants and small-scale eateries, it’s the company that matters most. 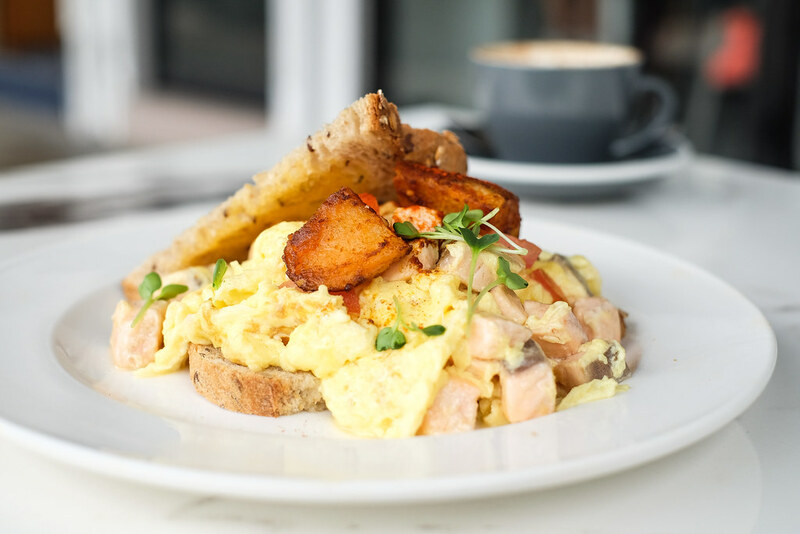 With the recent increase in the number of cafés situated along Upper Thomson, and the already well established food joints present, I’m sure you will enjoy a hearty meal at any one of the eateries we have checked out. Here’s the ultimate Upper Thomson food guide for your reference. Enjoy! At Habitat, it all started with the coffee. It wasn’t, of course, just any coffee. It was a cup of coffee made with passion. 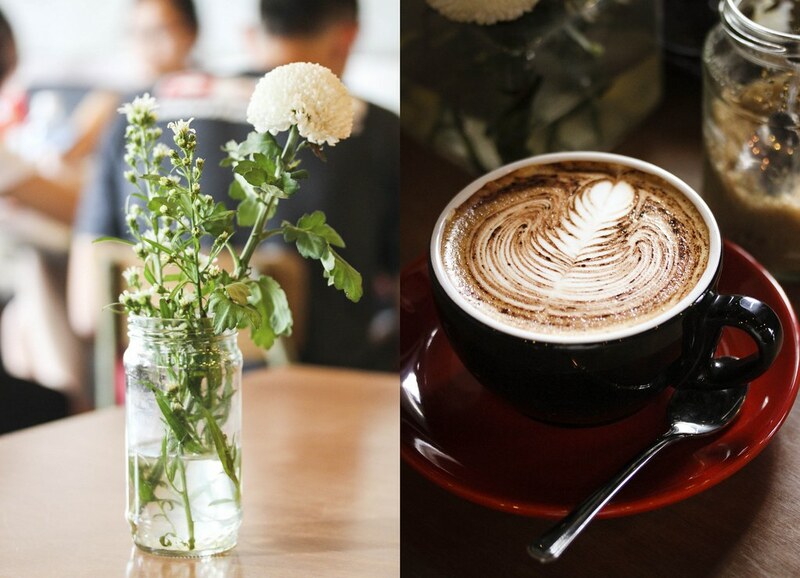 Singaporean owner Ryan was so inspired by Melbourne cafes, he’s taken his passion for coffee back to Singapore and started his own cafe Habitat in a neighbourhood in Upper Thomson populated with cafe-goers. 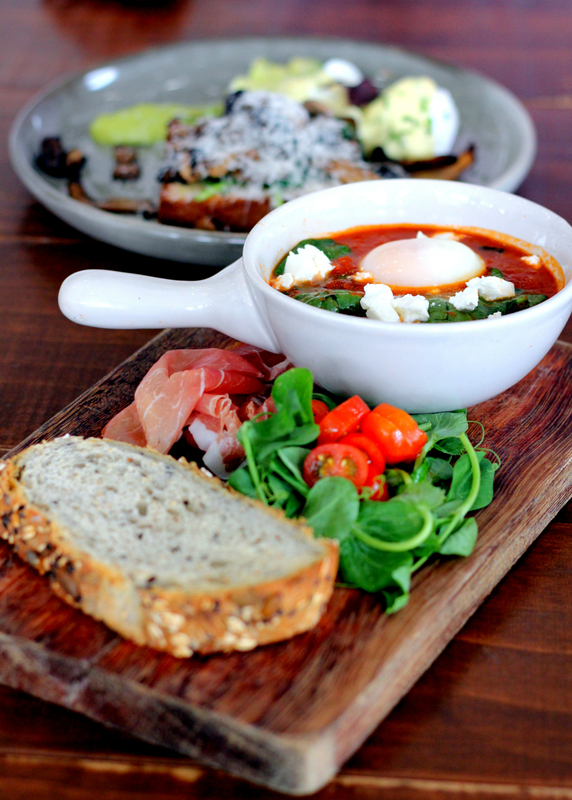 From salads, sandwiches, pastas to most vitally, brunch, Habitat Coffee does it all. Some new items in the menu include BBQ Pulled Pork ($13), Chilli Crab Linguine ($17), Truffle Salmon Scrambled Egg ($15), Stuffed Berries Hotcake ($15). Something that runs out fast is Pick A Date ($12), featuring warm sticky date pudding with cream butterscotch sauce. There is an unanimity of praise for this unassuming dessert among diners. Read about the full post here. 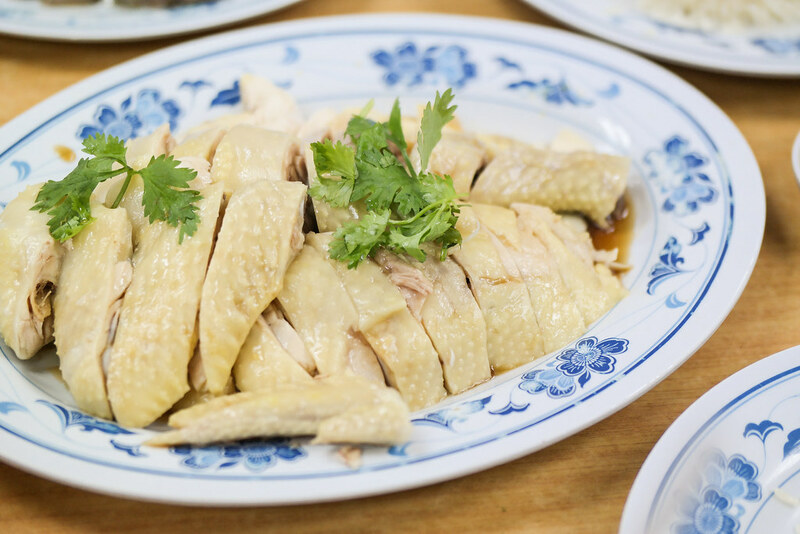 Chicken rice is the most common dish in Singapore and most people would have heard of Kampong chicken, which is different from your usual chicken found in most places. The normal chicken is usually injected with hormones to make them grow faster and fatter for commercial purposes whereas Kampong chicken are free range chickens allowed to run about in the wild and not force fed corn meal to fatten them up, hence making it a healthier version. The moist rice that accompanied the Kampong chicken was aromatic and not too oily. There are also other dishes such as the chicken’s internal organs, vegetables and Thai-style chicken feet available on their menu. Honestly, we felt that the chili and garlic sauce is one the best we have tried. Although big eaters might find it a hassle to dissect every slab of the bony chicken to salvage any remaining pieces of meat, diet-watchers and health conscious people are satisfied with the noticeably less fat. Badoque (Malay slang for eat) has developed a loyal following among the local Malay community because of the café’s cozy vibe and good food. The café features an internationally inspired menu – Mediterranean, Middle Eastern, Asian Fusion. The bestseller is the Badoque Ribs ($36), it was 5cm thick and almost as long as my arm. The accompanying brown sauce had a nice silky consistency helped by the addition of beef drippings and jus. Meat is grilled well-done and served hot to your table with potatoes and greens. We suggest you share your food with your loved ones — the portions are very generous. Yes, it’s halal-certified! Tucked in a corner lies this amazing, vibrant café! Its simplistic interior, making use of white walls and woody furniture, exudes an Australian-feel. Beginning the day with Truffle Benedict ($18) or Salmon Royale ($18) is a strong motivational factor for me to crawl out of bed. The free range poached eggs lie on a spread of smoked ham, over brioche and are topped with delicious truffle hollandaise sauce. Salmon Royale is another favourite brunch of mine, with asparagus, wilted spinach and smoked salmon served with ebiko anchovy hollandaise sauce. Looking to begin your day on a sweet note instead, try their Salted Caramel Banana French Toast ($16) where caramelized bananas are drizzled with salted caramel sauce and topped with whipped cream. The barista at Pacamara makes really good coffee too! Les Pâtisseries simply means “pastries” in French. Moved from Toa Payoh to Upper Thomson recently, they specialize in French pastries and confectioneries. Using practice the modern French baking techniques to produce the finest products, most of our ingredients used are sourced from France, and therefore producing high quality authentic products. 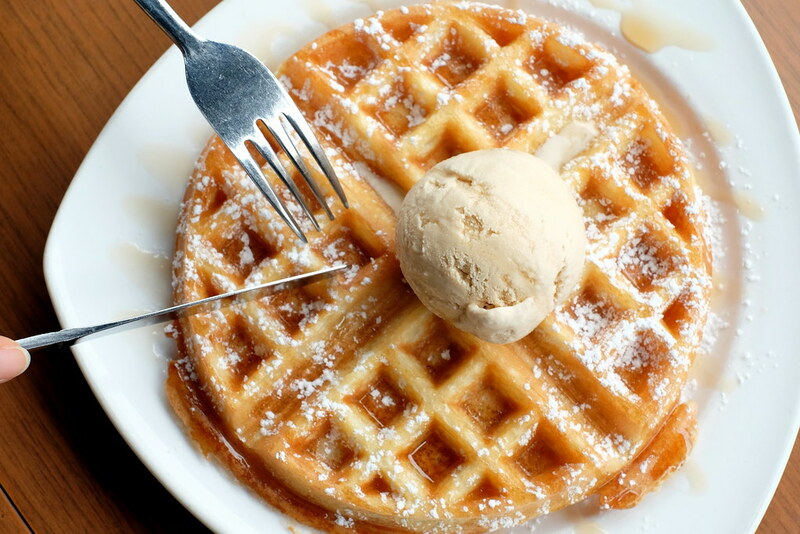 They have recently introduced the thai milk tea earl grey waffle and selling classic brunch items as well. 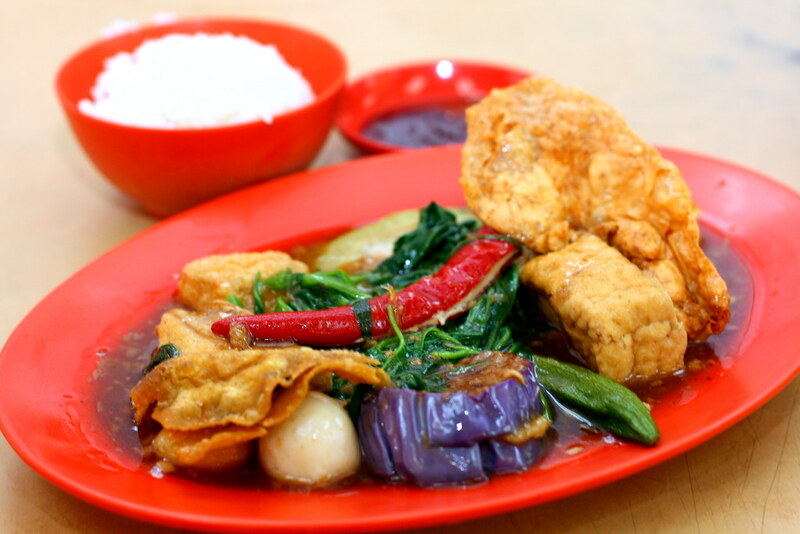 At Ngee Fou, a portion of Yong Tau Foo ($4) consists of standard ingredients such as kangkong, fried bean sticks, fishballs, tau kwa, tau pok, fried quail eggs, fried wanton, tofu, brinjal, bittergourd and lady’s finger. The ingredients are freshly made daily. 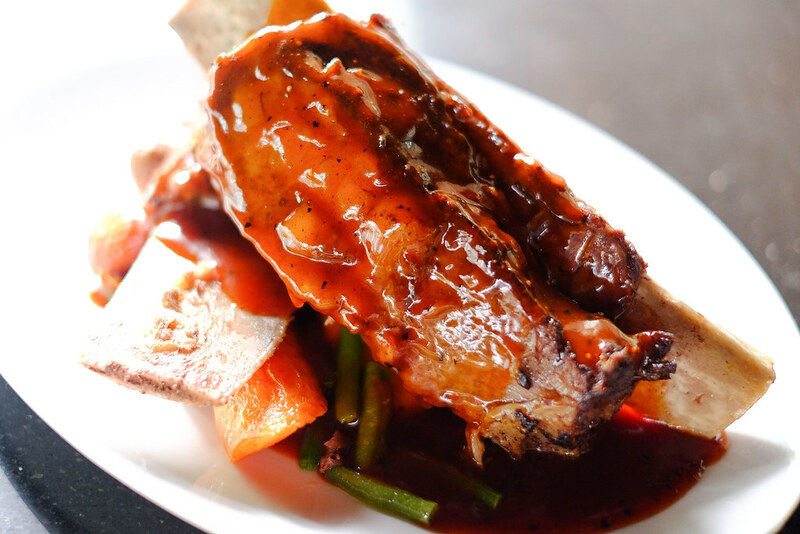 There is only the dried version available and the braising sauce is incredibly irresistible! Yong Tau Foo is served with rice here. The medley of saltiness and fragrance is simply heavenly. 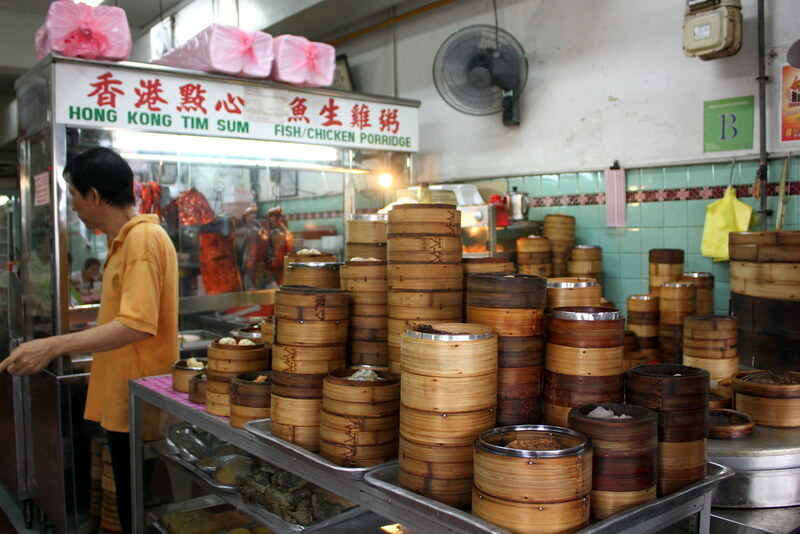 Apart from their signature Yong Tau Foo, they also sell chicken and duck rice. Its location might be rather ulu and inconvenient unless you own a car but definitely worth a trip for their Hakka Yong Tau Foo. It can get crowded during lunch and dinner time so arrive earlier! Opening hours: 11am – 12am (Mon, Wed-Fri), 10am – 12am (Sat & Sun). Closed on Tuesdays. Opened by the same guys behind November 8, Five by Five cafe made use of minimalist wooden furnishings which complements their all-white interior. 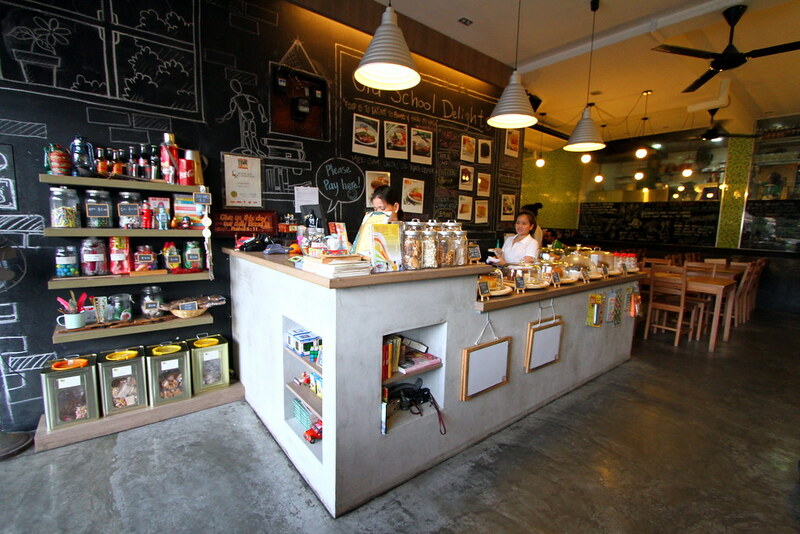 This café exudes a cozy and homey feeling that chases away your troubles and worries. 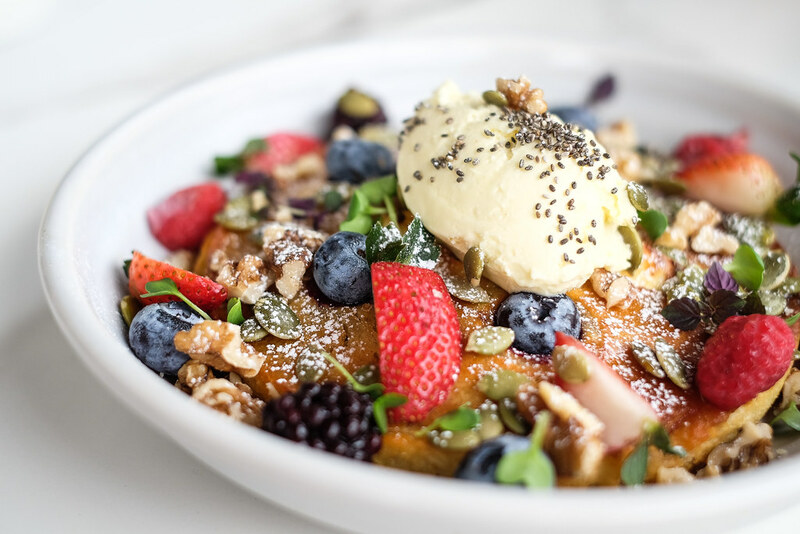 Brunch goers can indulge in their signature 5by5 breakfast ($15.50) or Salmon Florentine ($16.50) while the dinner crowd can settle for Chicken Bleu ($15.50), Japanese Beef Stew ($18.50) or Miso Roasted Pork ($16.50). If you’re just looking for a place to chill and catch up over a couple of beers, why not order some bar snacks as well? Their Spicy Lemon Topshell ($7) and Nachos with Cheese sauce and Tomato Chorizo ($9) are highly raved about. This café offers complimentary Wi-Fi and opens till midnight hence it’s a perfect hangout with your best pals. Even though November 8 was short-lived, it seems like Five by Five is here to stay! Opening hours: 1pm – 10pm (Tue-Thu, Sun), 1pm – 11pm (Fri & Sat). Closed on Mondays. 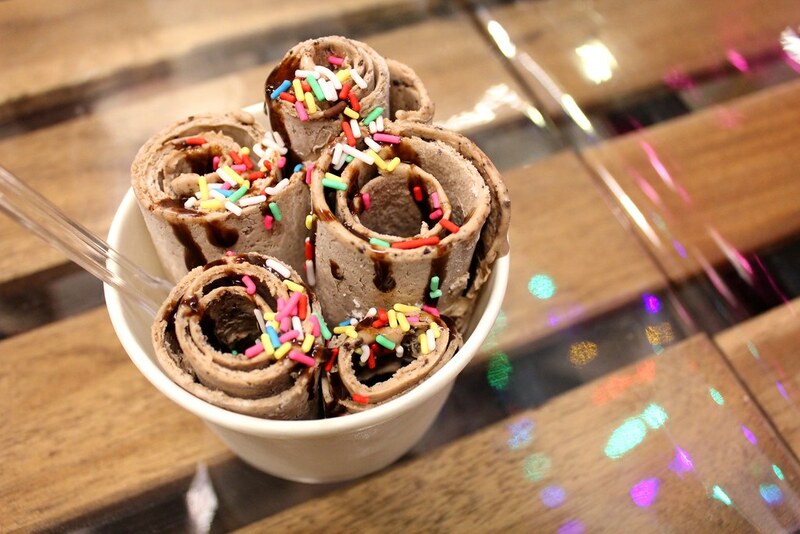 ‘Thailand’ would pop up in everyone’s minds at the mention of ice-cream rolls. You need not travel far for this because there is The Famous Ice-Cream Rolls Shop! You can choose a flavour per cup ($4.20) or mix two flavours (add $0.80). They offer Vanilla, Ferrero Rocher, Chocolate, Oreo, Kinder Bueno, Milo, Ovomaltine and Nutella. Each cup is served with Chocolate Hershey sauce and Rainbow Rice. They also offer Fruits Delight – one fruit ($4.90) or a mixture of two fruits (add $0.80). You can choose between Strawberry, Lychee and Mango. Each fruit cup is served with Strawberry or Caramel sauce and Rainbow Rice. This is a simple frozen dessert which helps you to beat the extreme heat! 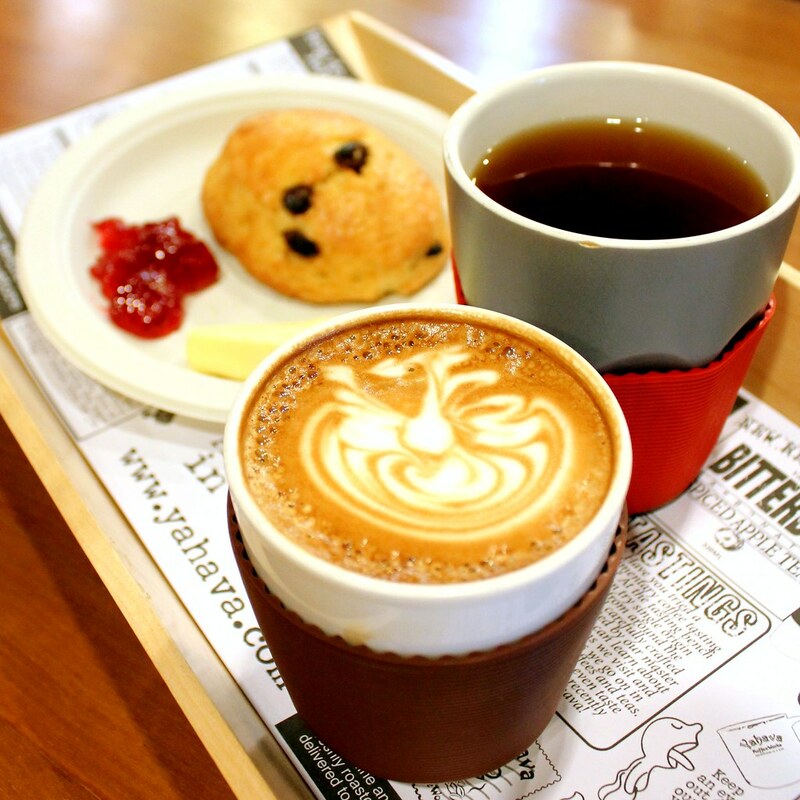 Café goers would often miss out on One Man Coffee as the premise is better known for Crust Gourmet Pizza Bar. 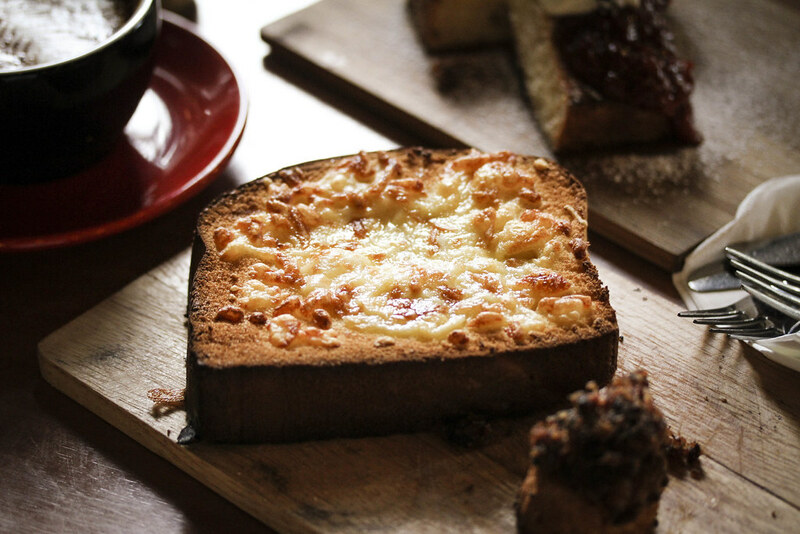 They share the same shophouse unit – One Man Coffee utilizes the premise from 9am to 5pm while Crust Gourmet Pizza Bar only opens after 5pm. 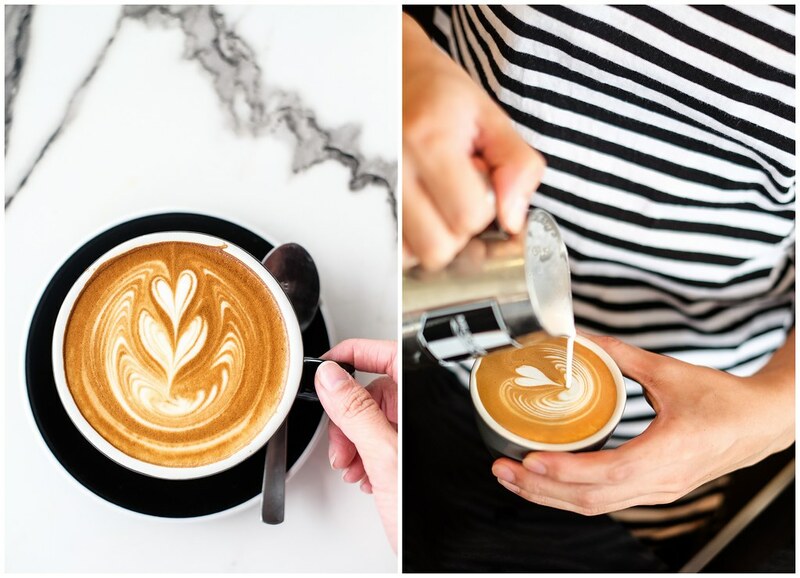 At One Man Coffee, coffee lovers will be treated to a brew made from Axil Coffee Roasters beans, one of Melbourne’s popular coffee joints. An espresso starts at $3 nett. My cappuccino ($4.50) excels with well-balanced body and a rich aroma. 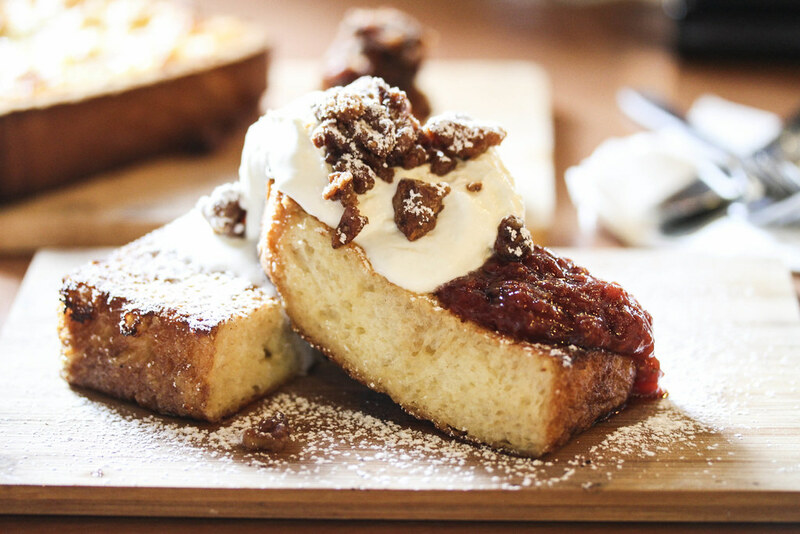 I enjoyed the nutty Brioche French Toast served with homemade berry compote and fresh cream ($10). The brioche was so pillow-y soft and moist as it was soaked in egg mixture. The walnuts was full of nutty goodness and the blueberry jam and a dollop of fresh cream complemented the french toast. 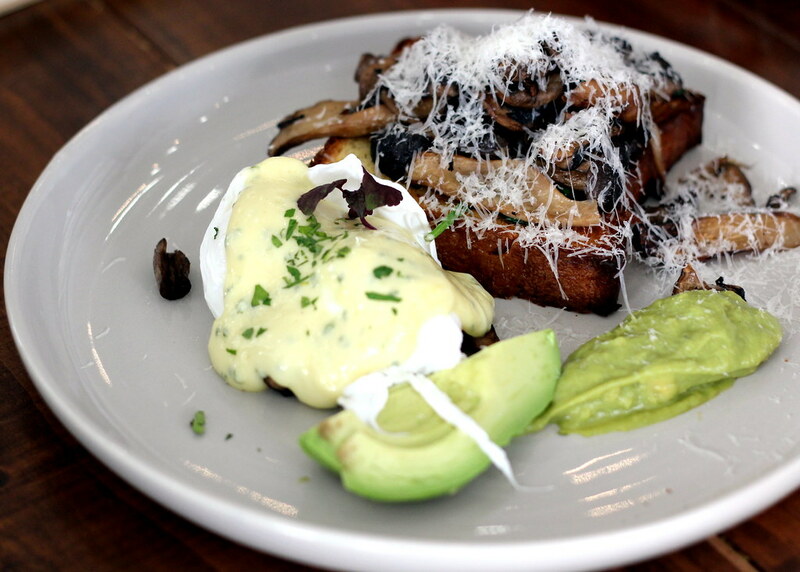 Another dish that caught our eye from the menu is the Gashouse Eggs ($10). The café’s unpretentious laidback atmosphere makes me want to return and spend a relaxing afternoon there again. There are cake and pastry displays on its vintage-looking cabinet as well. P/S Say YAY to no GST & service charge! Being a convenient and prominent shop that serves up one of the best ‘pratas’ in Singapore, this space fills up with a steady stream of customers and rarely goes quiet. Be there early in order to grab seats! The pratas sold here are different from the typical soft and fluffy ones you get elsewhere. We especially love the crispy and crunchy pratas offered here! Dunking the prata into the thick and creamy chicken curry is definitely love at first bite. Nipong Naepong - NEW Risotto & Ppong Dishes that will Make Your Tummy & Wallet Happy! With its extensive variety of Indian-Muslim food, you’re bound to get spoilt for choices. There is probably less space in your stomach than there are food options such as Maggie Goreng ($3.50), Chicken Briyani ($5), Murtabak ($5), Mutton Soup ($4) and Indian Rojak etc. Besides their delicious fare, we also love their super shiok Teh Tarik ($0.90), which is neither diluted nor overly sweet. This is a great place to satisfy your late night hungry pangs, do check it out! Since opening its doors in 2011, Salted Caramel has been serving affordable ice cream. Single scoop costs $3.60 while double goes for $6.40 and triple for $9.20. Such a good deal yea? All below $10! For a more substantial dessert, you have the choice of adding on a brownie ($3.50) or a waffle ($4) to your choice of ice cream. My personal favourites are Earl Grey, Rum & Raisin, Milo and not to forget, Salted Caramel! Their ice cream is free from artificial enhancers and preservatives. They open till late night! 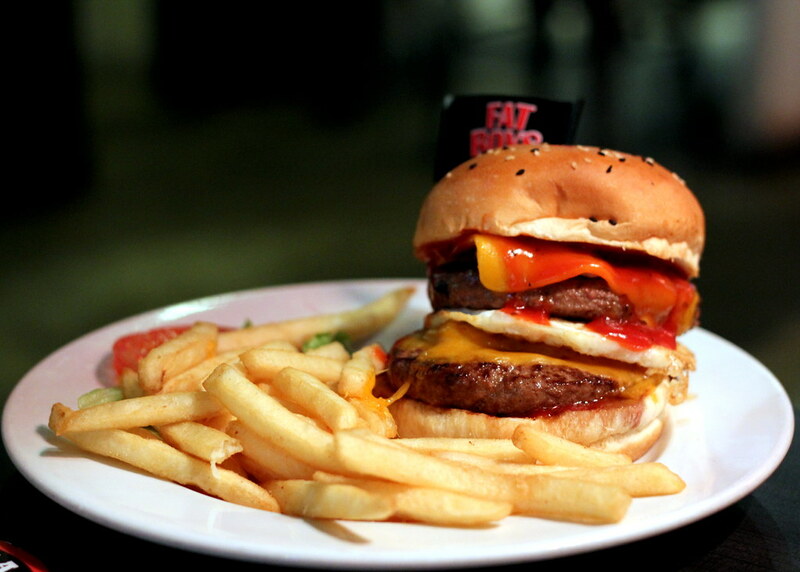 Craving for an irresistibly sinful burger with fries? Look no further! 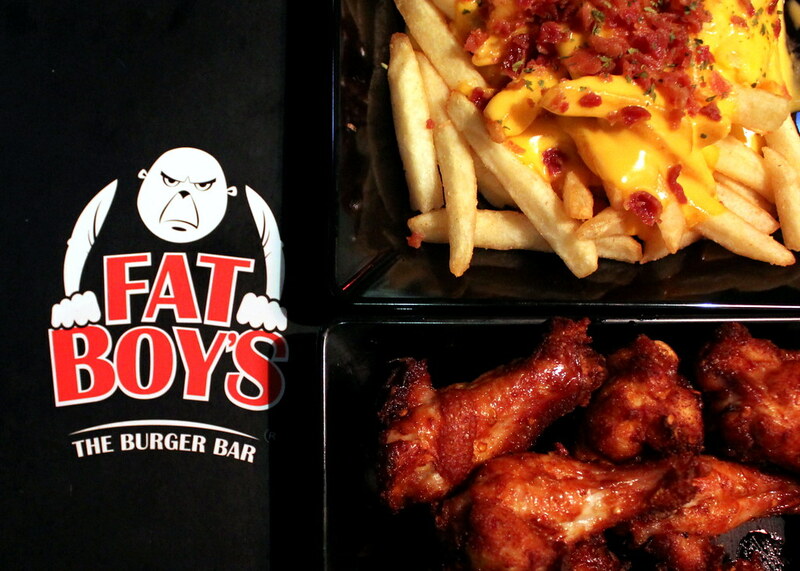 Fatboy’s here to satisfy that hunger pang of yours! Forget diets and begin your indulgence in Fatboy’s appetizers ranging from Spicy Hot Drumlets ($11.50) to Beer Battered Calamari ($10.50) to Mozzarella Cheese Sticks ($10). Fatboy’s Specialty Fries is a must, with flavours such as Beef Chili Cheese Fries ($7.50) and Parmesan Truffle Fries ($7.50). Personally, I love “Fat Basterd” ($19.80), which consists of double beef chunk patties, chewy bacon, cheddar cheese, a fried egg and homemade Fatboy’s BBQ sauce on sesame seed bun. Chow down like a champion! There’s not a civilized soul dining here! Haha! Be prepared to get your hands messy with the dripping cheese and overflowing sauces. I’m not exaggerating when I say, ‘a bite of Fatboy’s burger takes you to heaven’. Our favourite pie cafe – Windowsill Pies has recently moved into the hood too! They specialize in pie, the sweet kind. Their pies are full of robust flavours and exciting textures, crafted with honest ingredients and a close attention to detail. My favourites? I like the Strawberry Lemon Slice which is tangy, and refreshing. The classic lemon meringue tart was given a beauty makeover. This tart is perfect for a summer’s day, which is just about everyday in these parts. Also, the S’mores is lovely too. It is filled with chocolate milk pudding and dark chocolate fudge, topped with whole toasted marshmallows and homemade graham crackers. Sparks Café & Bistro is an extension of the already famous Berrygerrybakes that started two years ago. Upon entering this cafe, you’ll be treated to an overwhelming aroma of cookies, freshly baked out of the oven. 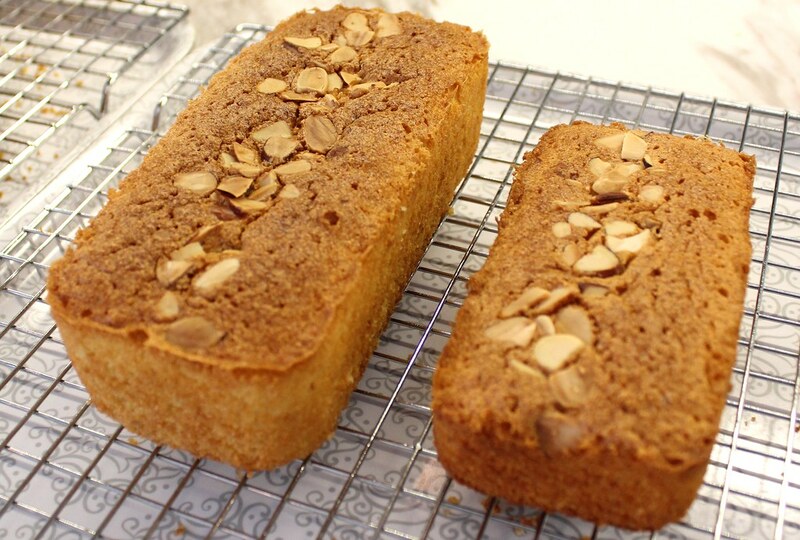 Berrygerrybakes is famous for its sugee cake, butter cake and fruit cake. Moreover, they offer a wide variety of cookies ranging from flavours such as Singaporean’s Chinese New Year favourite Bak Kwa, classic Earl Grey, nutty Almond to another local delight – Pandan and lots more. 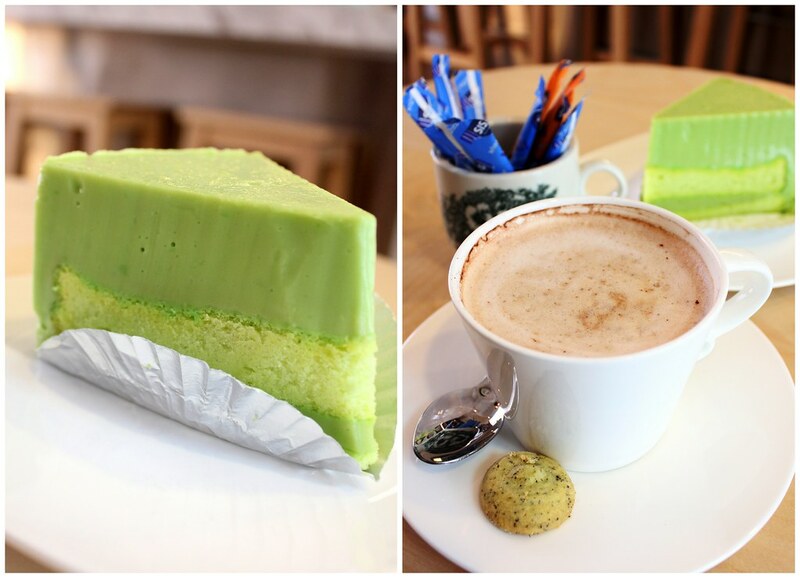 The Pandan Kaya cake ($4.80) here not only looks good, it smells and tastes good too! They also offer light bites such as their chicken pot pie ($4.80). With its crispy crust yet soft interior and the savory ingredients within the pie, I would give this pie an overall thumbs-up! 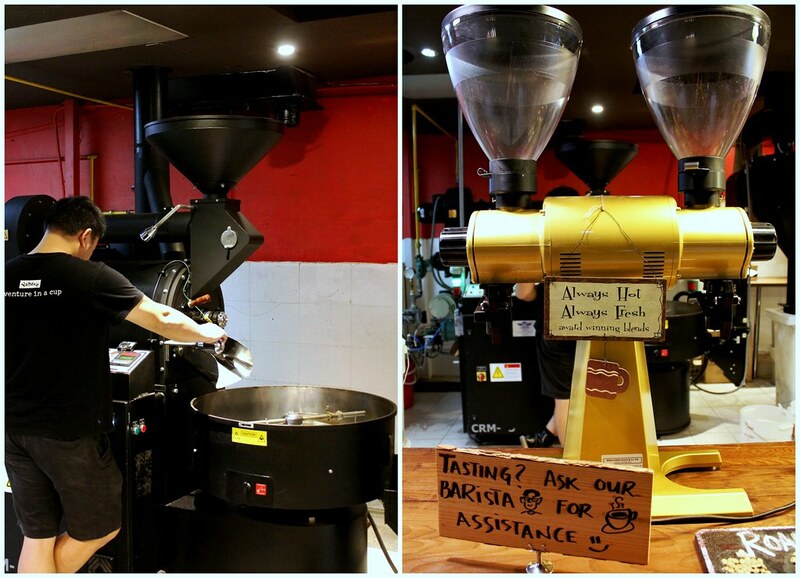 This is one of the very few cafés that roasts its own Arabica coffee beans in-house. The resultant brews are fragrant, fully flavoured and is the perfect way to begin your day! Due to their open-concept kitchen, you get to observe the roasting process and take in the fragrance of their roasted coffee beans lingering in the air. The few brewing methods available in-store include Plunger Coffee aka French Press, Filter/Pourover Coffee and Aeropress. Customers get complimentary coffee tasting in-store. Just approach any one of their friendly baristas and they’re more than willing and eager to share their coffee knowledge with you! Opening hours: 11am – 9pm (Wed-Mon). Closed on Tuesdays. Nam Kee Chicken Rice has over forty years of experience and is probably a household name for many families across Singapore. It serves traditional Hainanese Chicken Rice ($26 for whole chicken) with meat so tender, chili with just the right punch and at affordable prices. The velvety smooth skin of the chicken is enticing enough and bears just the right amount of fat within. 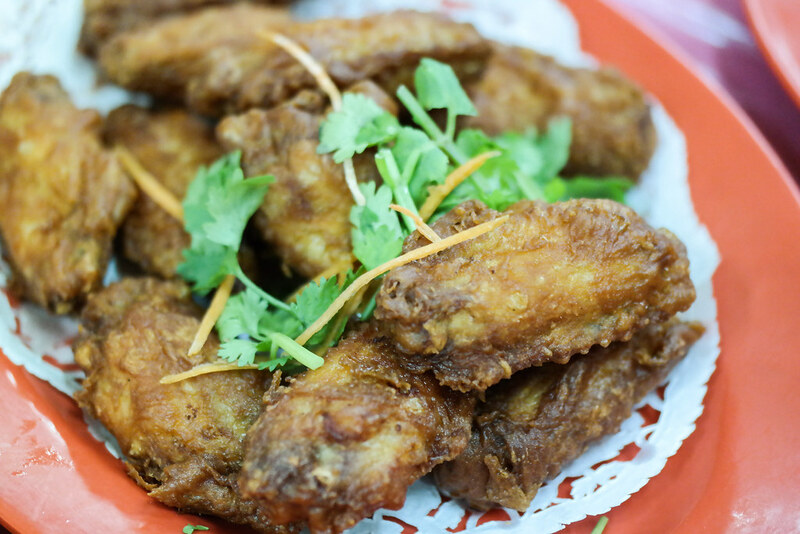 The chicken pieces were juicy and complemented perfectly with the dipping sauce – a combination of chili sauce, ginger paste and dark soy sauce. Nam Kee is famous for its outstanding sauce, boasting a mixture of spicy chili sauce, yellow pasty ginger and thick yet less salty dark soy sauce. Overall, the gratifying chicken rice is a must-try! Besides their signature chicken rice, Nam Kee is also known for their Hainanese Zi Char dishes such as my personal favourite, the Hainanese Pork Chop ($7). Crispy pieces of pork chops are presented with a home-styled favourite of tomatoes, carrots, corns and green peas. I love the exquisitely tangy tomato sauce that is spooned generously over the dish. Other dishes worth mentioning are the Hainanese Mixed Vegetables ($7), Fu-Yong Egg ($6), as well as, Fish Maw Soup ($10). 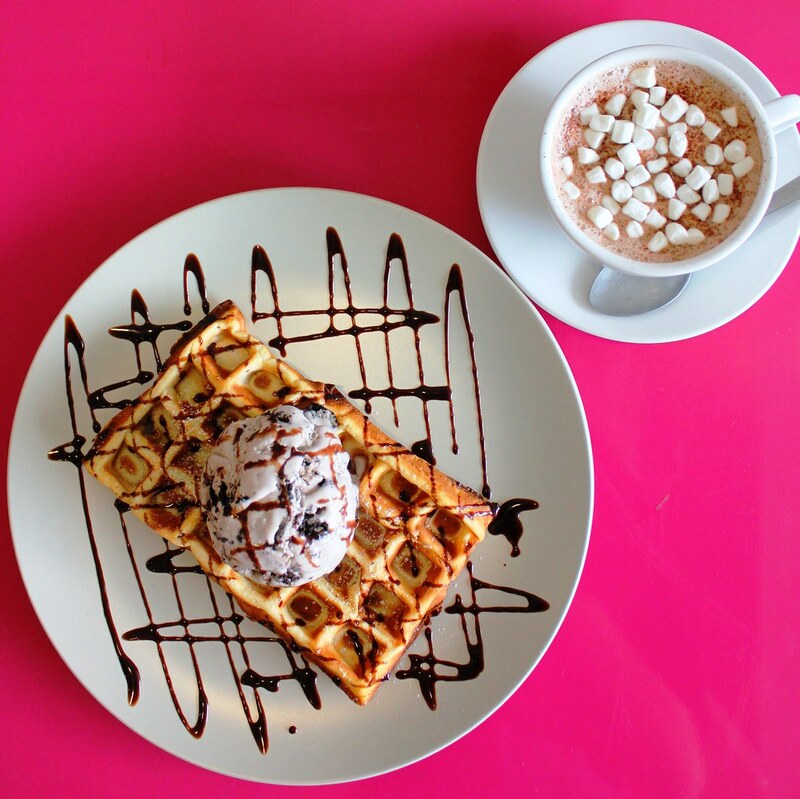 This café is no stranger to the ice cream scene in Singapore ever since its establishment in 2007. Ice cream are made fresh daily, with over 10 flavours to choose from each day. The Banana waffle came with a regular scoop of Oreos and Cream flavoured ice cream. The waffle was fluffy, not overly-crisp and leaves a mildly sweet aftertaste from the banana flavour. Oreos and Cream ice cream brings out the traditional cookie flavour. Ice Cream Chefs’ Hot Chocolate is generously topped with mini marshmallows. Thankfully, it is not overwhelmingly sweet. They do serve Milkshakes such as Nutella, ChocoBanana and Coffee etc. beginning from $6.50 and above. 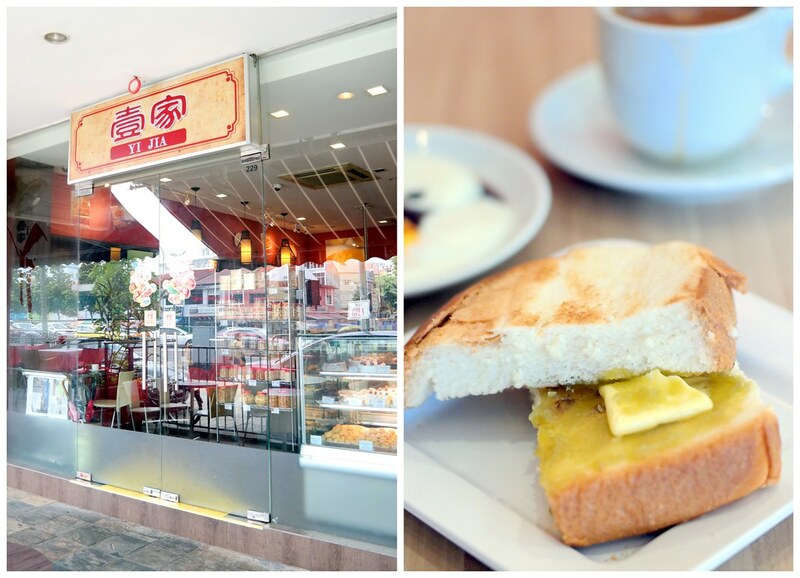 For the older generation, this nostalgic café, with its budget-friendly Chinese pastries, freshly baked traditional-style breads and traditional kopi and teh, is definitely a trip down memory lane! Most of the items here are just above a dollar, with a few costing lesser than that. What sets this café apart from others would be its concept of being both a traditional bakery, yet also offering patrons dine-in seating. Some must-try items include the coconut bun, Swiss rolls and milk bread. They sell very scrumptious “tau-sar-pia” (Chinese biscuit with red bean paste) too. If you are fortunate enough, you may even get it freshly hot from the oven! 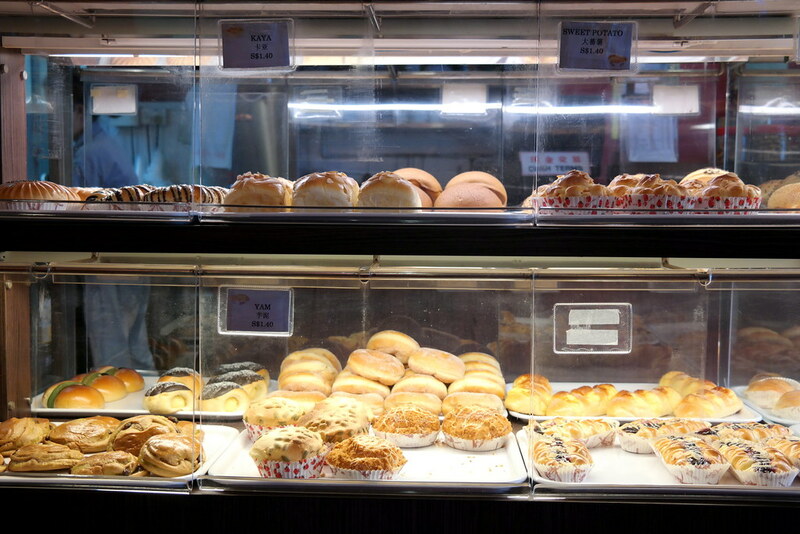 Yi Jia Bakery serves your local “kopitiam-style” – Kopi, Kopi O, Kopi C etc. Why not bring your parents here and enjoy an afternoon with them? 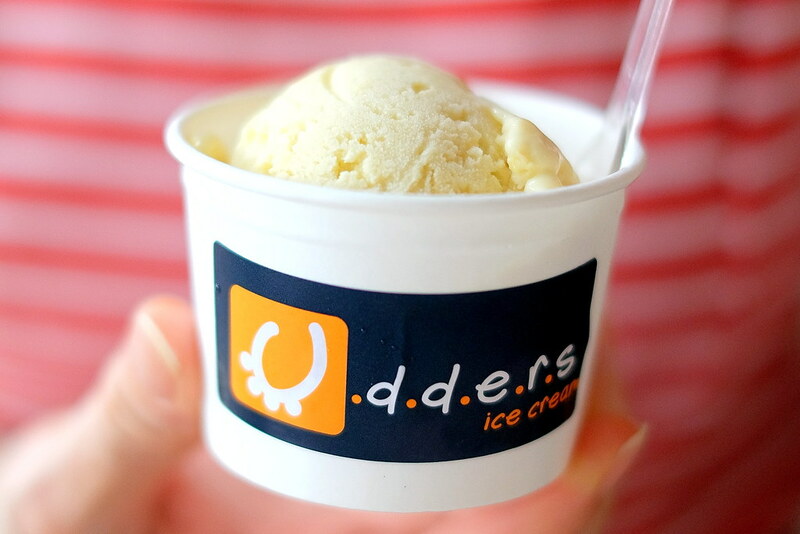 Udders is a local homegrown ice cream shop in Singapore, famous for their alcohol-spiked ice cream. The owners named their business after a cow’s mammary glands to keep things quirky and fun. What started as a 20-seater ice cream parlour in 2007 is a well-established and recognized local brand with a number of outlets across the island today. The ice cream at Udders is less sweet, contains more alcohol and more pure flavours. It is best known for its best selling Mao Shan Wang ice cream and its range of intensely alcoholic flavours such as Wineberries, Rum Rum Raisin and Bailey’s and Bourbon. The chocolatey flavours at Udders are also crowd pleasers. Opening hours: 11.30am – 10.30pm (Tue-Fri), 11am – 10.30pm (Sat & Sun). Closed on Mondays. 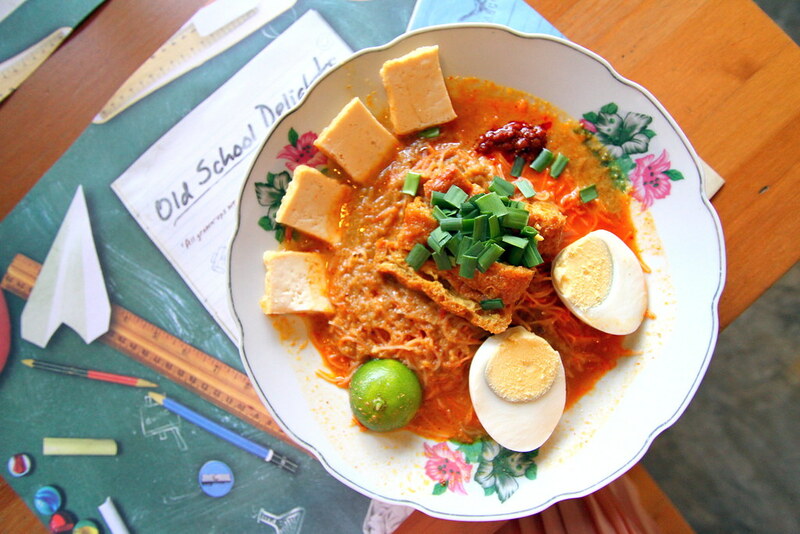 Old School Delights (OSD) is a retro school-themed café, which evokes the nostalgia in you. You will be especially thrilled to find some of the old school toys and displays still existent in this highly technologically advancing country. They serve up traditional favourites such as Laksa ($6.50), Nasi Lemak ($6.90), Hainanese Chicken cutlet ($8.90) and Curry Chicken ($8.90). Their signature dish has got to be the Old School Heritage Mee Siam ($5.50), with its slightly spicy thick gravy that packed a good combination of sweetness and sourness. 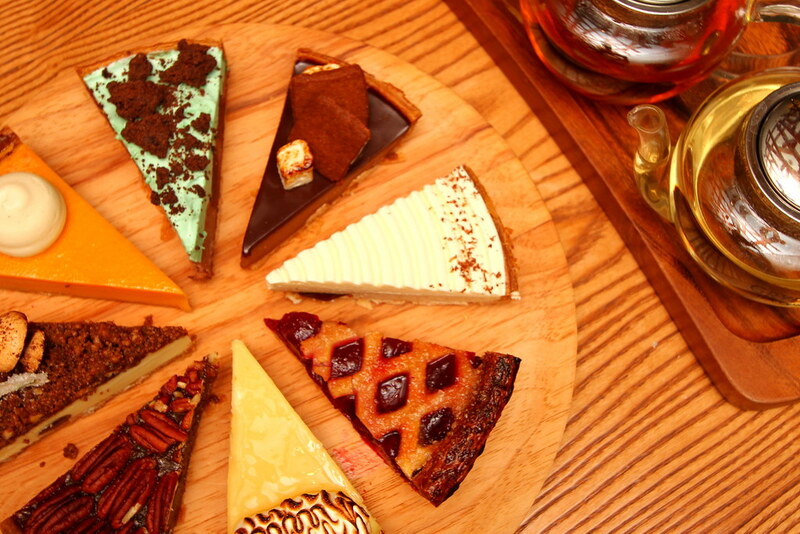 Besides their mains and drinks, OSD also offers cakes and desserts for the sweet-tooth. Chendol ($4.50) was refreshing and very satisfying. OSD certainly brought back memories of recess time in my school canteen. 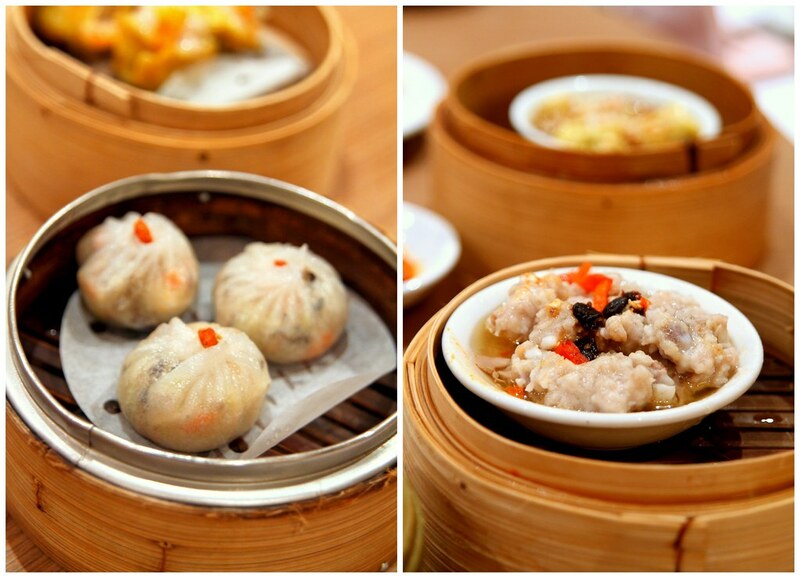 This old style coffee shop serves traditional Cantonese dim sum and zichar dishes. I felt like I was transported back to the 1970s upon entering the space. 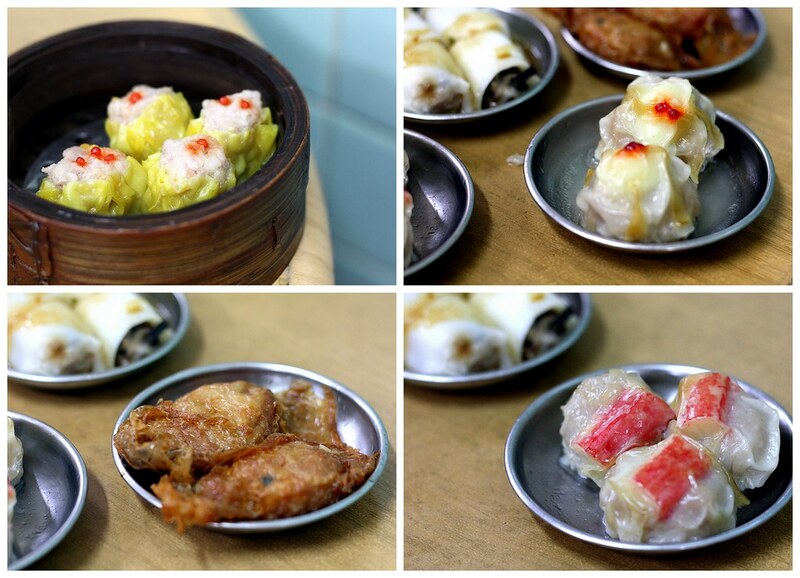 Their dim sum is affordable and very old school. We had items like har kau, siew mai, lor mai gai, dumplings, porridge etc. 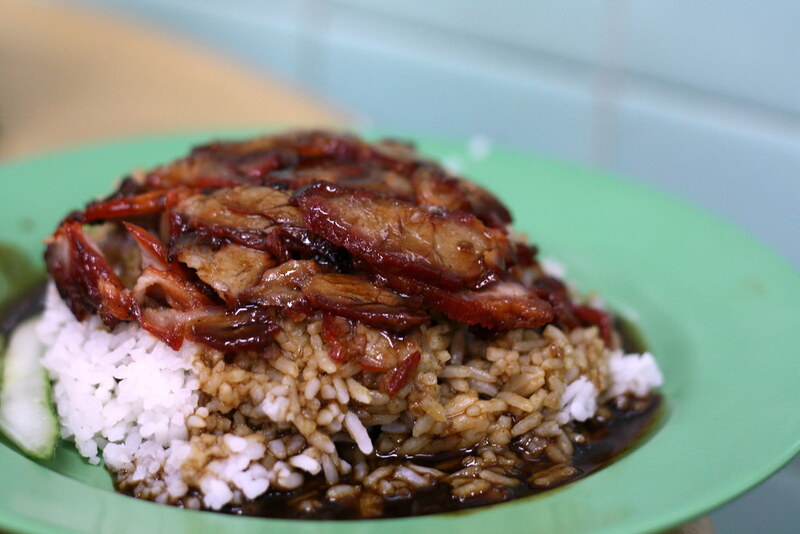 They also have char siew rice with large juicy meat in sweet sauce. Another favourite of ours is the moonlight kway teow. Dino Café’s Sugar Roll ($0.80) are the best in town! 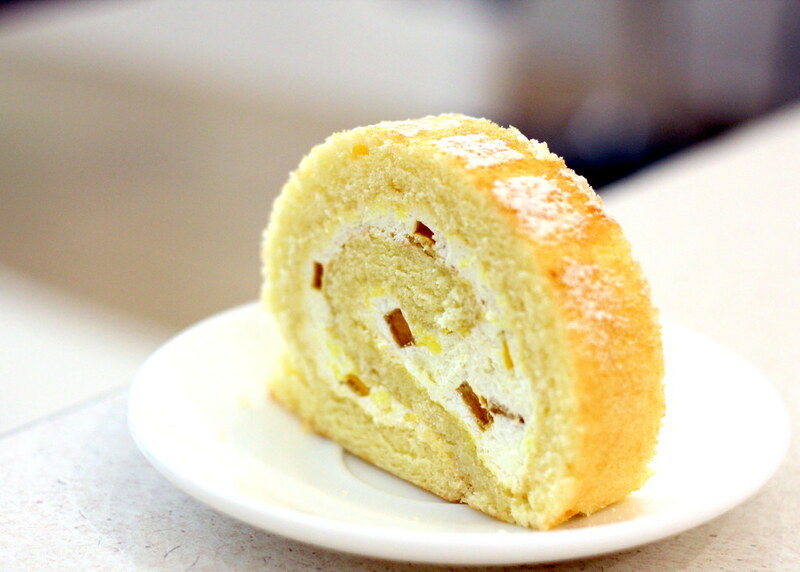 Imagine soft and spongy cake roll, with a layer of light butter cream, melting in your mouth – simply heavenly! The royal chocolate cake ($16 per half kg) features a rich chocolate sponge that is generously covered by dark chocolate fudge and chocolatey layers. They also offers Durian Puffs ($7.50 for a box of 6) – a hot favourite among locals! Its homemade puffs are fresh and generously filled with D24 durian. For non-durian lover, do try their Mango Ring ($1.80) – soft mango sponge with a generous filling of fresh mangoes. 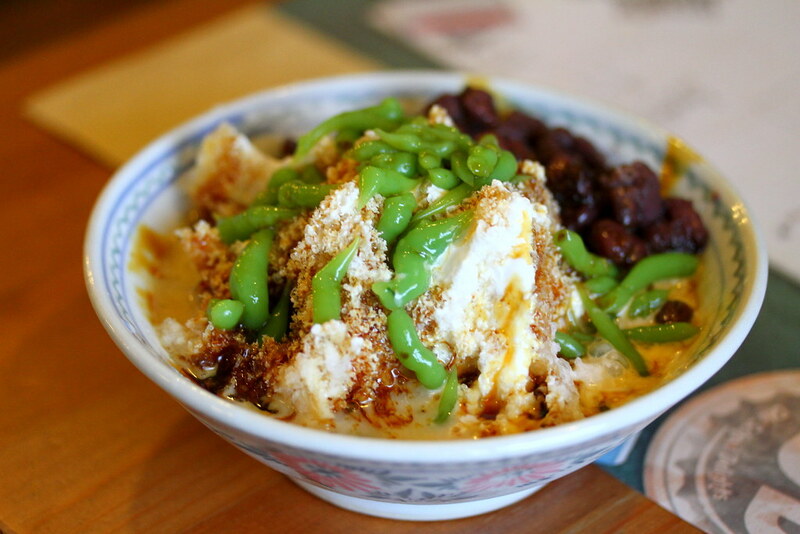 Rochor’s traditional beancurd is made from real beans. My cravings for soya beancurd with dough fritters will always be satisfied here. The beancurd is smooth and contains the right amount of soy bean flavour in it, without being diluted. If you want a richer and more intense soy bean flavour, opt for less sugar syrup. 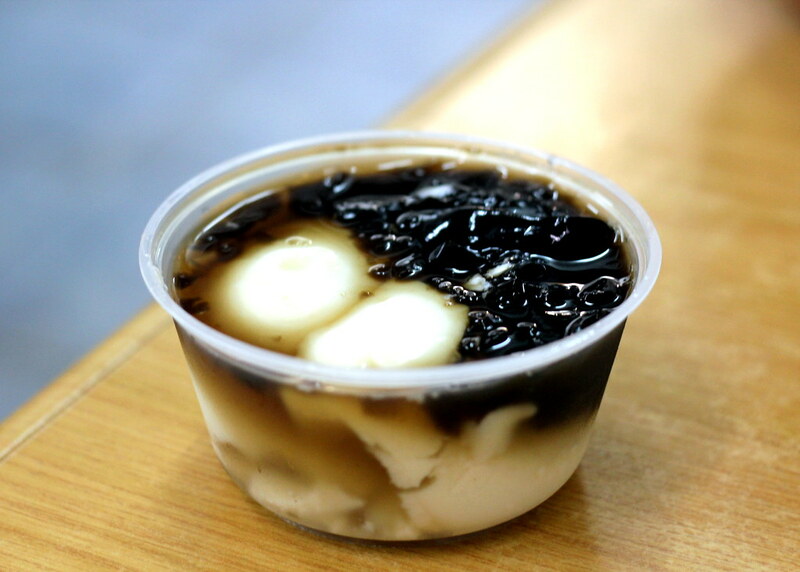 Prices start as low as $1.40 for a bowl of hot or cold beancurd. You can request for toppings such as pearls ($2), lotus/redbean/peanut ($2.20) and rice balls ($2.90 for 3). 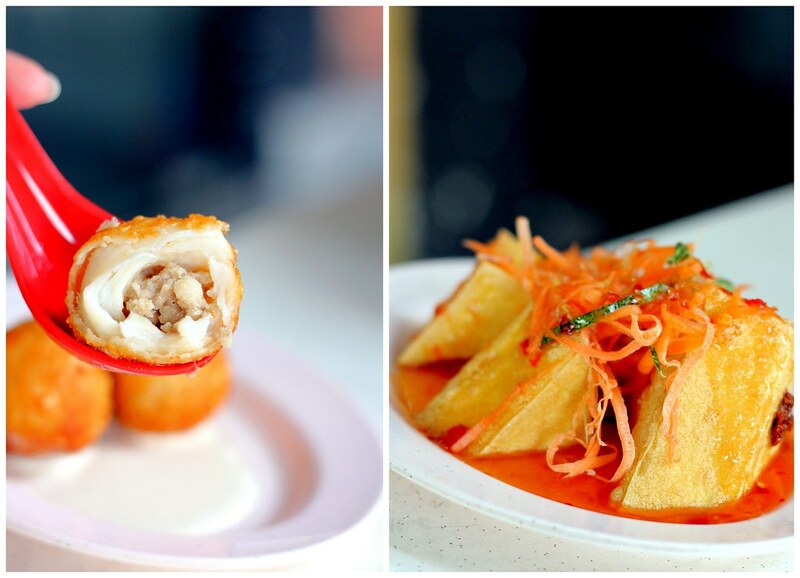 The dough fritters are extremely greasy yet sinfully crispy and complements the beancurd. Although Upper Thomson is well known for their café culture and pratas craze, do not belittle this zi char stall. With its wide range of dishes offered, it can get overwhelmed with crowds, especially on weekends. Fans of this zi char stall would rave about their Har Cheong Gai (prawn paste chicken). Indeed, the chicken wings were well-marinated, crispy on the outside, yet juicy and tender on the inside. 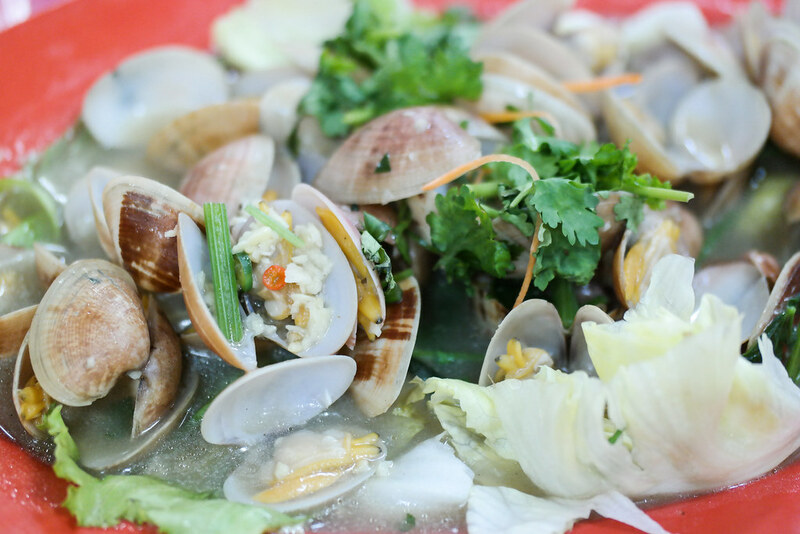 The La La clams are big and quite meaty as compared to other restaurants. The tangy and mildly spicy gravy made the La La dish very appetizing. This stall also offers Singaporean’s favourite chili crab and black pepper crabs. This neighbourhood restaurant has gone the whole hog with Korean music and waitresses wearing traditional Korean garb. Try the Ginseng Chicken Soup ($25) with tender meat in light chicken soup enhanced with wolfberries and ginseng. The seafood pancake Haemuljeon ($18) is generous with fresh prawns, squid and enlivened with spring onions and sliced chilli. It’s really addictive and not too greasy! For something refreshing, go for the Cold Buckwheat Noodles ($18) with slightly tangy broth. 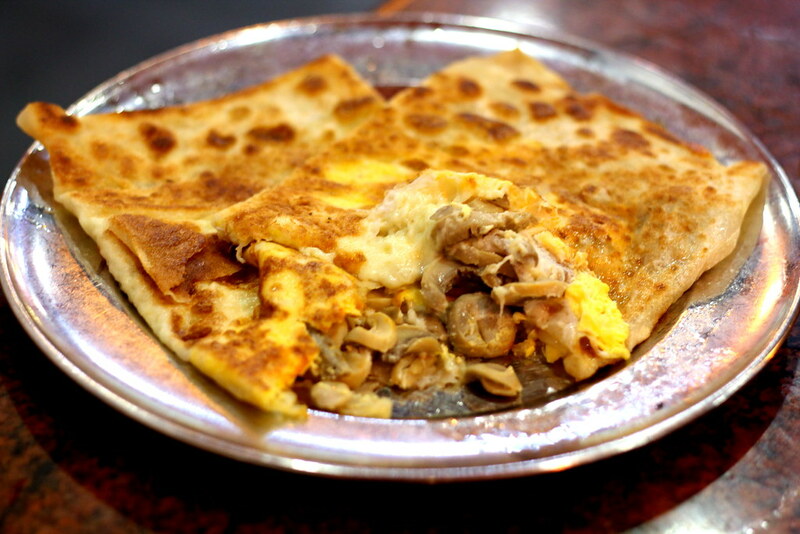 Prata enthusiasts would flock here for their signature mushroom cheese prata. 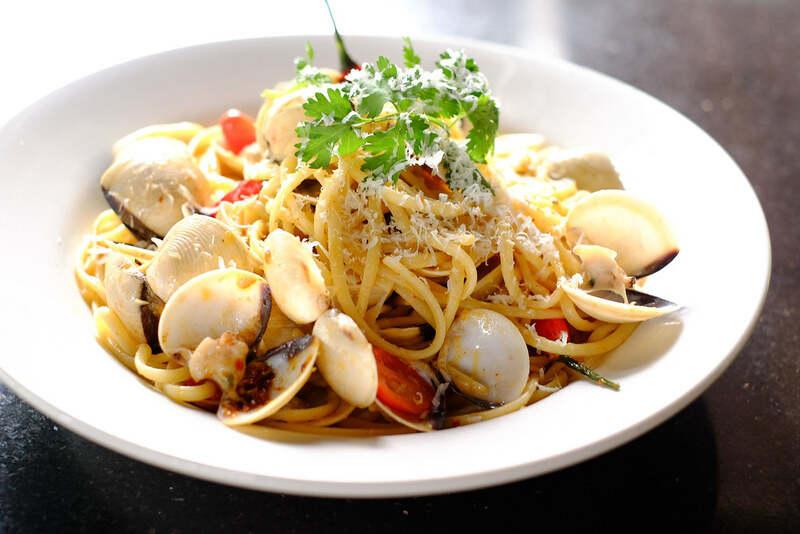 The ambience and affordable food items makes Casuarina a worthy place to chillax with friends. Being located near the Lower Pierce Reservoir, you may occasionally stumble upon monkeys playing along the perimeter of the reservoir. The plain prata goes for a dollar a piece. For $2, you get to enjoy a gratifying meal with simple, tasty curry. The list of prata flavours is extensive, ranging from chicken floss prata and sausage cheese prata for the customers who prefer savory to chocolate prata and banana prata for the sweet-tooth. Casuarina also has very delicious chicken and mutton briyani, as well as, curry fish head. Doesn’t matter if it’s 3am or 3pm, this eatery is always overflowing with customers. For obvious reasons, it’s Bak Chor Mee. The noodles are springy and tangy and they are very generous with the ingredients (meatball, sliced pork, prawn, liver, mushroom and a heap of bak chor). Best of all, there was many tiny savory pieces of pork lard! 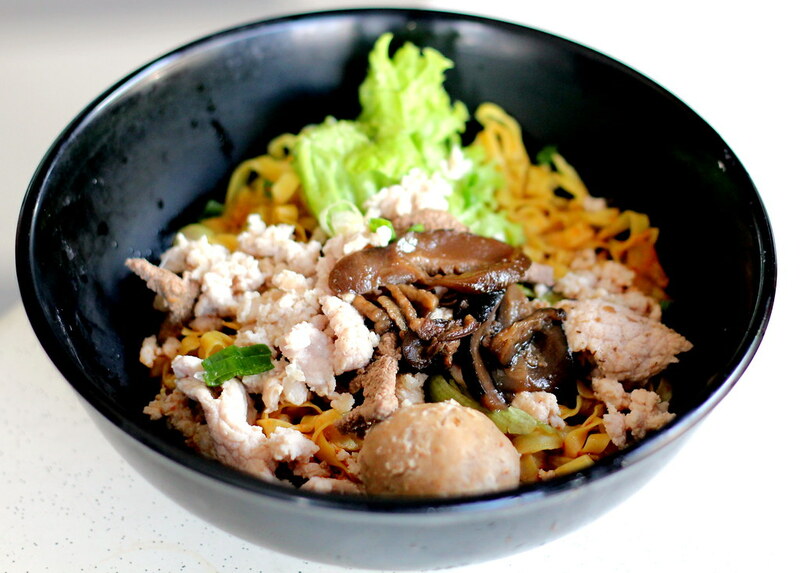 Topped off with a dash of chili and vinegar, you get the perfect Bak Chor Mee to suffice your hunger. Other than Bak Chor Mee, we are a fan of their Mini Wok too, with its flavourful broth and similar ingredients. 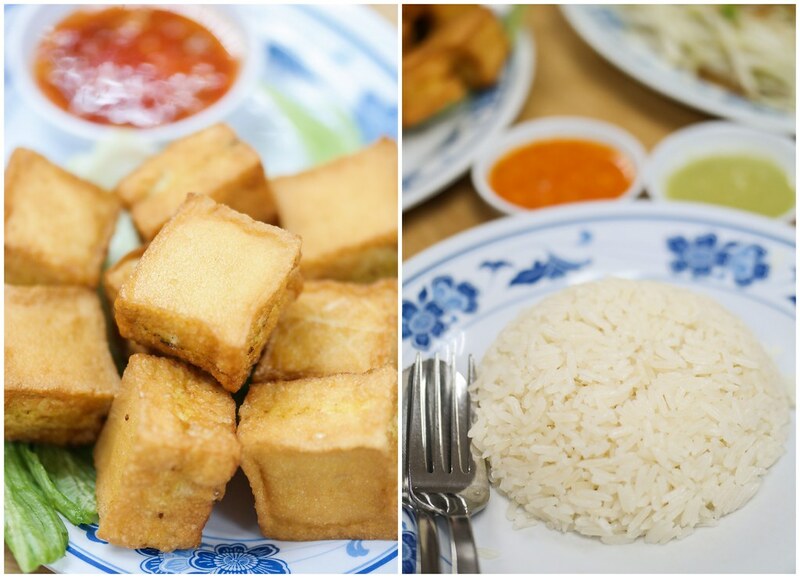 We would also recommend the Deep Fried Thai Tofu and the Fuzhou fishballs to go along with your noodles for a really hearty meal. The former is delightfully crispy on the outside, yet soft on the inside while the latter contains sweet, juicy minced pork fillings. Avoid going during dinner time or you’ll have to queue and jostle for a table. After a filling meal of Bak Chor Mee, you can always explore the row of cafés along Upper Thomson in search for desserts. As it is opened 24 hours, this is a perfect eatery for night owls and famished clubbers. Mookata is good for gatherings. Huay Kwang Thai Kitchen owner’s wife is a Thai and all the recipes for meat marinades and sauces belong to her. 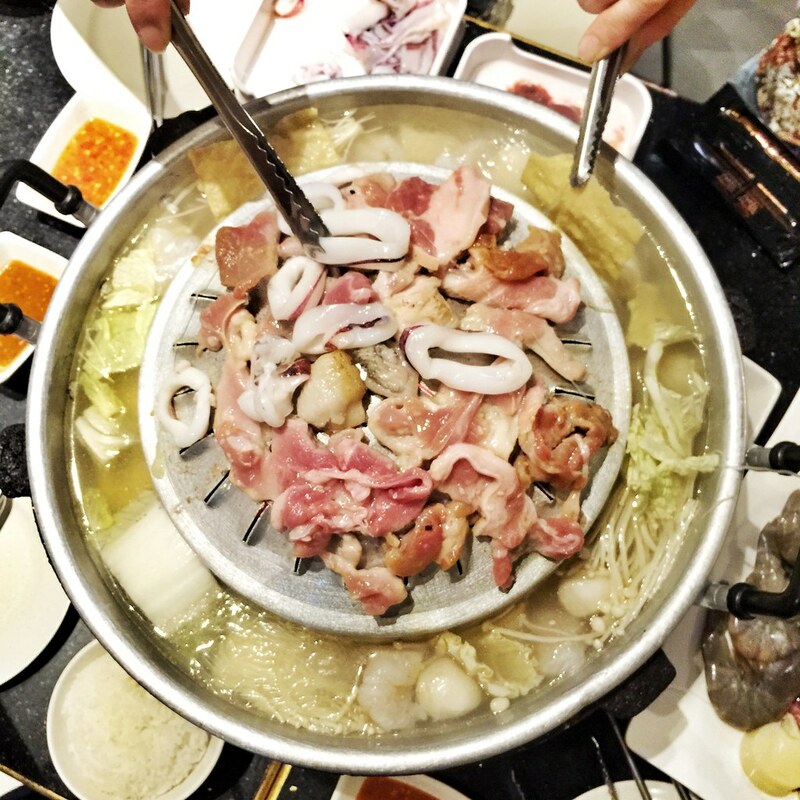 Chunks of pork fat are placed at the top of the domed grill and diners then cook the ingredients on the sizzling oil which drips down. The lard, plus the marinade and juices from the meats, flavour the soup. Service here is very efficient and the assortment is decent. Sets start at $39.90, or you can eat all you want for $25.90 (weekdays; $28.90, weekends and PH) in two hours. Dim Sum is only served for lunch and this is one of the very few remaining restaurants where you see waitresses pushing dim sum trolleys around. 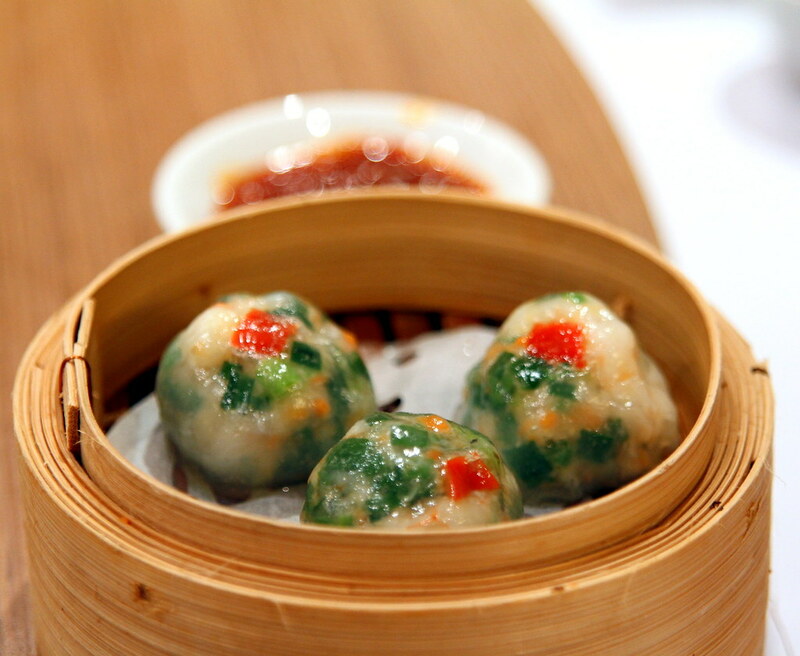 There are two trolleys, one for steamed dim sum and the other, for fried dim sum. The waitresses are efficient in serving and it seems as though food comes looking for you here whereas usually, you’re the one looking for food. There are dishes such as BBQ pork bun, siew mai with crab roe, braised chicken feet, ha gau, xiao long bao and pork ribs etc from the steamed trolley. As for the fried trolley, there are char siew soh, yam paste roll, carrot cake, egg tarts and prawn dumplings etc. The ingredients used were fresh and not overly greasy. Peach Garden also serves mains that are equally good as their dim sum. And don’t forget that they have weekend dim sum buffet! 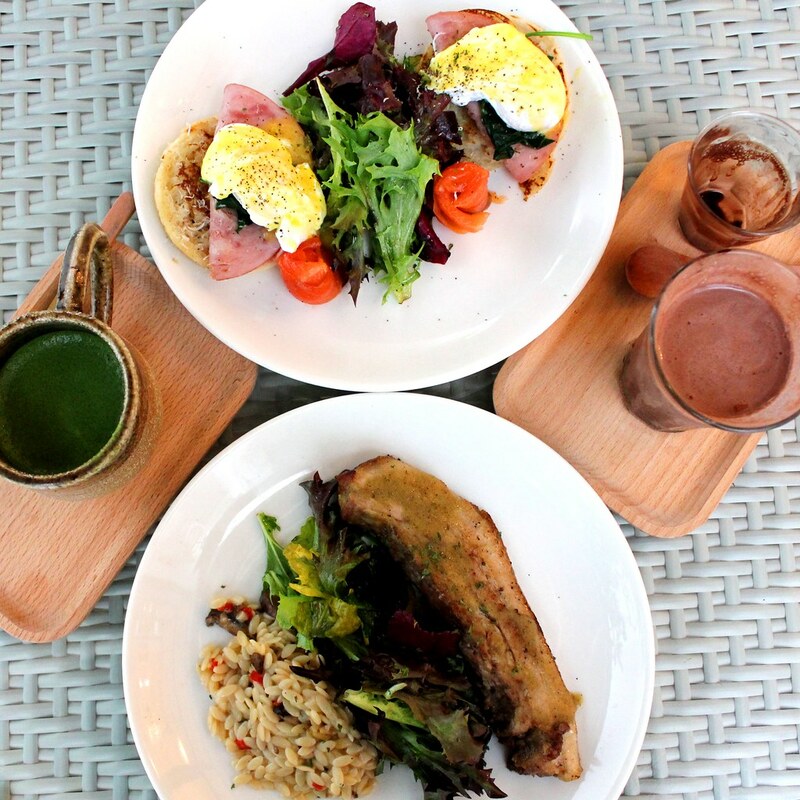 Tucked away in a quaint spot along a row of shophouses at Jasmine Road by Thomson Plaza is Little Part 1 Cafe, a cozy little cafe serving a mixture of Western, Swedish and Japanese fusion dishes. 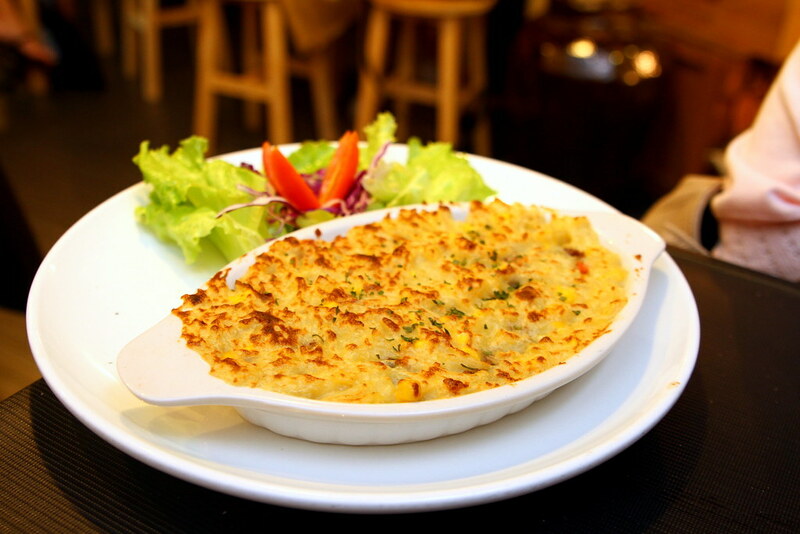 The extra delicious minced beef in the Shepherd’s pie is a well balanced savoury combination with the mash. If you are there during the weekends, make sure you order their Irish Beef Stew. 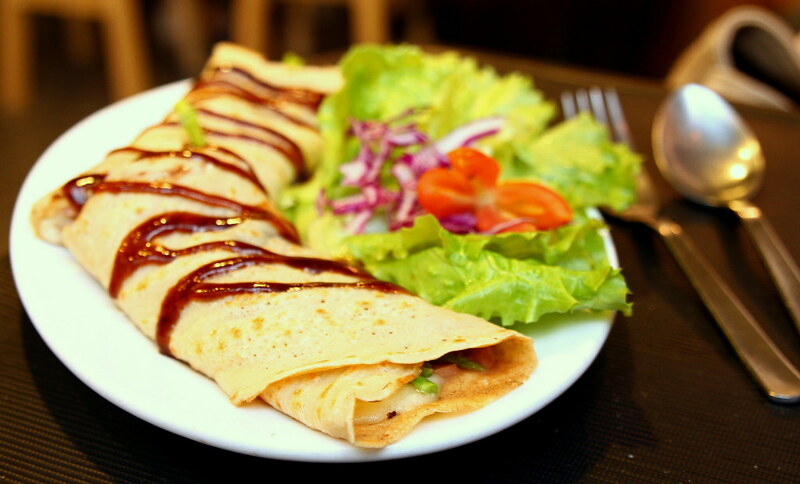 They also sell savory crepes which includes spinach tuna, salmon, classic Italiano, louisiana, pomodoro chicken, 3 cheese and mixed green. The Louisiana crepe is wrapped with black pepper ham, asparagus, mozzarella cheese, with homemade smokey sauce. You can find Belgian Beers in affordable price. 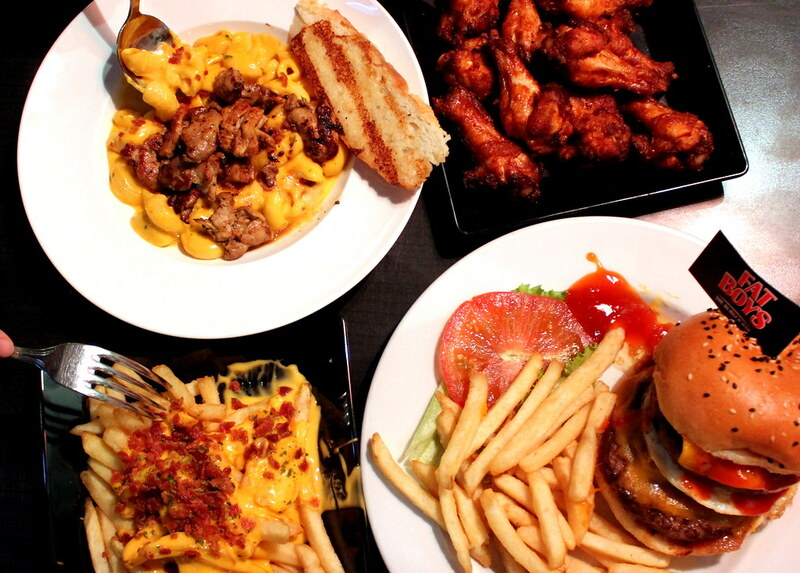 With the array of eateries lined along Upper Thomson, you’ll be able to satisfy any kind of cravings! Why not grab a couple of buddies, feast on the affordable and delicious delicacies and hang out in one of the cafes after your meal for desserts? As quoted from Virginia Woolf, “One cannot think, love nor sleep well if one has not dined well”. Food is essential to our lives, therefore, make your meal a good one, worth all your calories! Compiled by Miss Tam Chiak & Toh Mu Qin. In order to make this post as updated as possible, do share in the comment below and we will update from here. Thanks! Let’s build a food community that helps to update the food news in Singapore! Simply comment below if there’s any changes or additional info to the stalls above. We will verify and update from our side. Thanks in advance! Obsessed with food. Bringing you the trustworthy opinions on where to eat around the world. Wow!!! 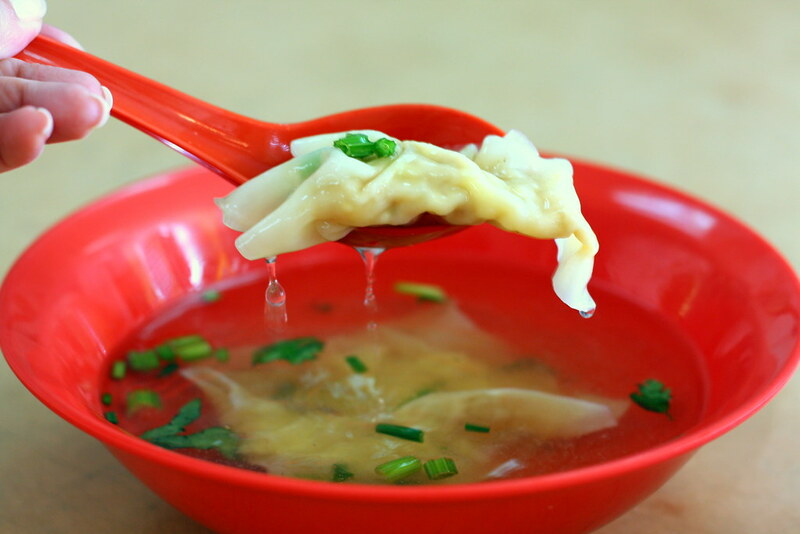 This is a great compilation of foods in the Thomson Road area! Thank Miss Tam Chiak! Great guide 🙂 i think you should add in Les Patisserie too! They have just moved from Toa Payoh to Upper Thomson! Very good review about Upper Thomson. Been there so often and I actually missed out some of them. And you only review those I like… Thank you. Love your blog. 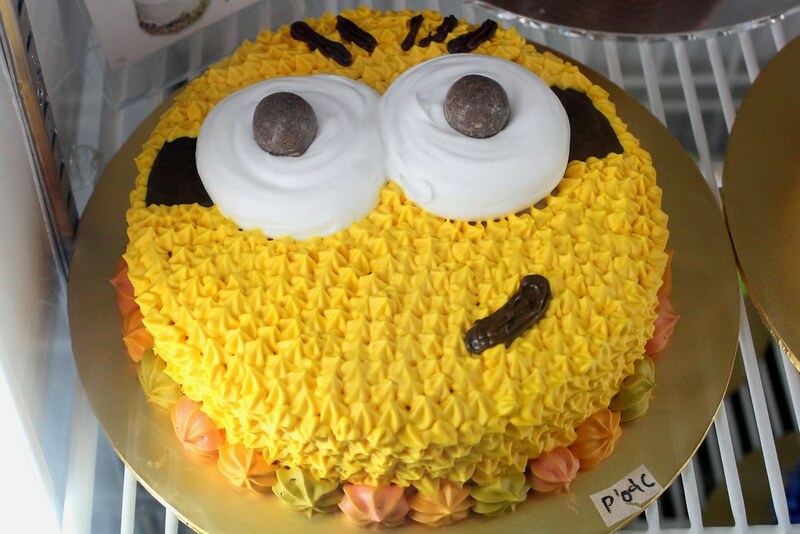 Meng’s only opened from 9am-5pm now (last order 4.30pm). Found out the unfortunate way when we went there for an early breakfast couple of months ago ? AH ISIT! We go there so often but didn’t realized! 🙁 Thanks for notifying! OMG I didn’t know! Thanks for informing, have updated the list!